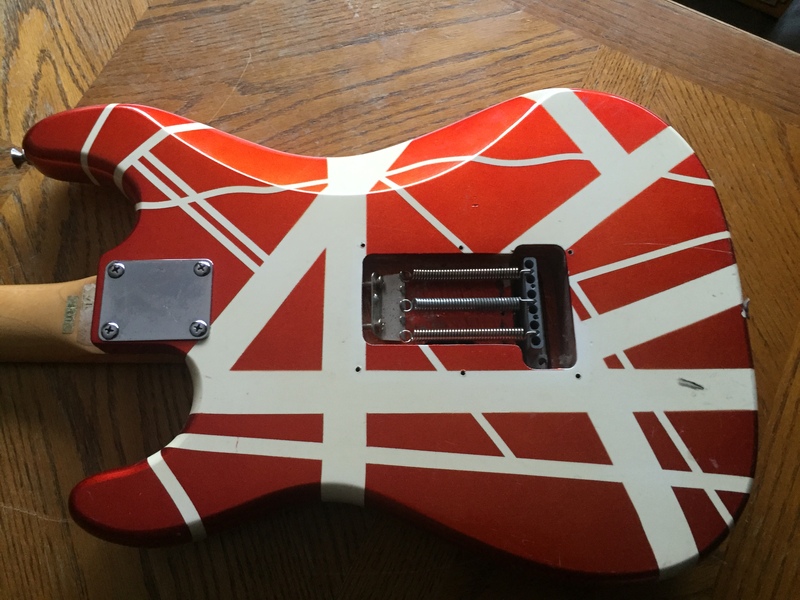 Mako EVH guitar. Missing one tuning gromet and back plate for springs as shown. 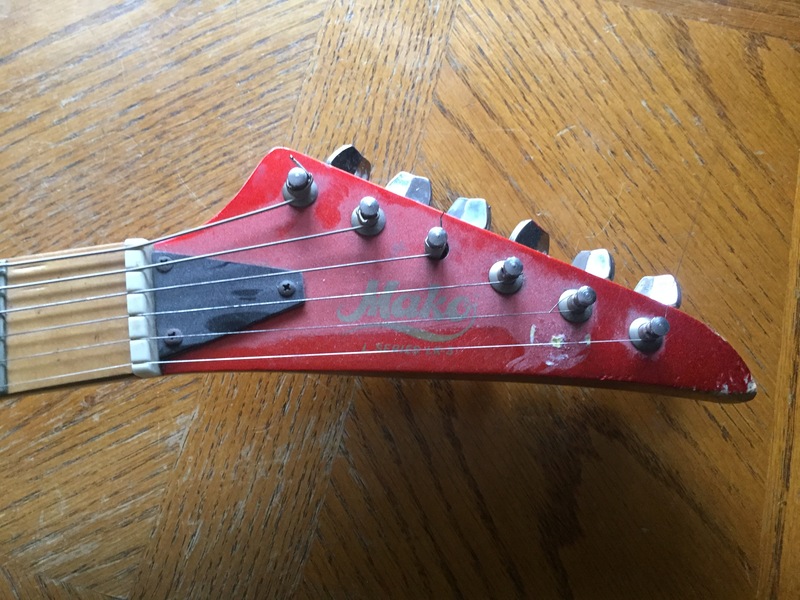 Guitar has very little fret ware. 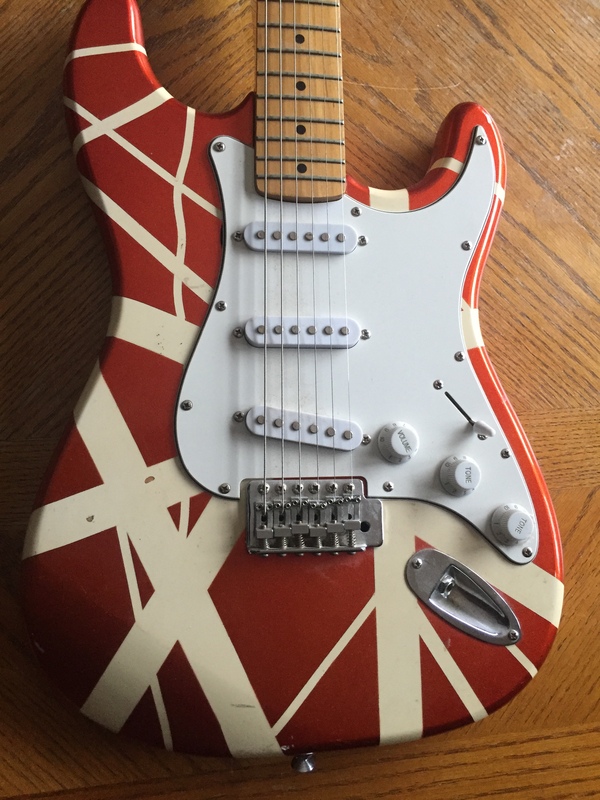 Fast maple neck. Sorry not tremelo bar. What you see is what you get. All electronics have been gone through and work as per normal.